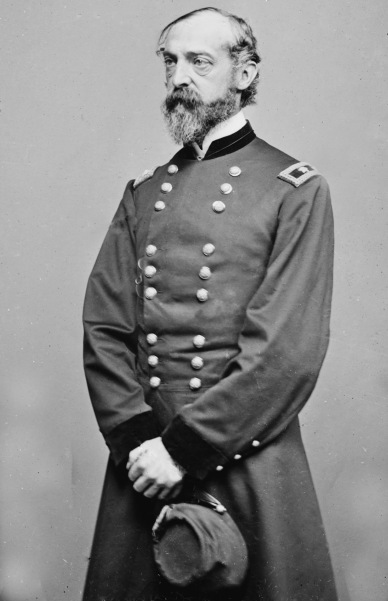 My two most recent posts dealt with the Joint Committee on the Conduct of the War’s attempt to crucify George Gordon Meade for allegedly deciding to retreat from the battlefield at Gettysburg. Maj. Gen. Daniel E. Sickles made those allegations in an attempt to deflect criticism from his disobedience to Meade’s orders at Gettysburg on July 2, 1863 and also because he was angry at Meade for rebuffing his attempts to return to command of the III Corps in the fall of 1863. Sickles’ disobedience subjected his III Corps to near destruction at the hands of Lt. Gen. James Longstreet’s sledgehammer attack up the Emmitsburg Road. After days of testimony, Sen. Benjamin Wade, a Radical Republican from Ohio and the chairman of the Joint Committee, was forced to admit that there was insufficient evidence to condemn Meade. Despite that fact, Wade’s clear bias against Meade—whom he thought was too timid—shone through. Wade hoped to find sufficient evidence to force the removal of Meade from command of the Army of the Potomac, and must have been bitterly disappointed about not finding sufficient evidence to support his plan. Wade, however, was not finished with George Meade. Sounding an all-too-common theme, Wade also accused the commander of the Army of the Potomac of being unduly cautious in his pursuit of the beaten Confederate army after Gettysburg, thereby allowing the Army of Northern Virginia to escape, rather than attacking it on the north side of the rain-swollen and impassable Potomac River. As we are approaching the anniversary of the events in question, it seems appropriate to examine this question and to determine whether Wade’s report came to the proper conclusion. All the witnesses but General Meade state that it was very apparent, on the morning of the 4th of July, that the enemy were in full retreat, and Generals Pleasonton, Warren, Birney, and others state that they counseled an immediate pursuit. General Birney says that he asked and obtained permission to make an attack that morning on the enemy as they were crossing a point near him on the pike to Hagerstown; but just as he had commenced the movement to attack, a staff officer rode up with a written order from General Meade not to attack, but to let the enemy go, which was done. General Pleasonton states that when he urged General Meade to order an immediate advance of the army after the enemy, he replied that “he was not sure they might not make another attack on him, and to satisfy himself, he wanted to know first that they were in retreat, and for that reason I was to send the cavalry out to ascertain.” He states that General Gregg, 22 miles on the Chambersburg road, reported at 8 o’clock on the morning of the 4th, “that the road was strewn with wounded and stragglers, ambulances and caissons, and that there was great demoralization and confusion.” This was immediately reported to General Meade, but no pursuit was ordered. That night a council of war was held. Its deliberations and results are thus described by General Butterfield, from memoranda taken at the time: “I have here the minutes I kept of the council of the 4th of July. That council was held at the headquarters of General Neal; he gave up his headquarters to General Meade. The council was opened by General Meade explaining his instructions, and asking the corps commanders for their advice as to what course he should pursue. “Question. Can you state what General Meade said his instructions were? “Answer. I think he said his instructions were to cover Washington and Baltimore. He said he had no knowledge of General Foster’s movements. There was a rumor that General Foster was coming up from Washington with reinforcements. General Meade said he desired the earnest assistance and advice of every corps commander. The corps commanders commenced giving their opinions, beginning with General Slocum and followed by General Sedgwick and General Howard. Their advice, according to my memorandum, was as follows: “General Slocum would move on an interior line as far as Emmettsburg, and then, if the enemy had not gone from Gettysburg, hold on there and push out a force at once with a view of preventing the enemy from crossing the Potomac. 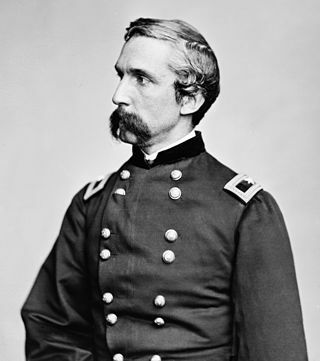 “General Sedgwick would wait at Gettysburg until certain that the enemy were moving away.” General Howard would like to remain at Gettysburg and ascertain what the enemy were doing, but thought it would do no harm to send a corps to Emmettsburg. On the 5th of July the 6th corps commenced to follow the enemy, and on the 6th and 7th the rest of the army moved, going to Frederick rather than directly after the enemy, on account of some apprehensions of the difficulty of following the enemy through the mountain passes, which were reported to be strongly fortified. General Howe states that his division had the lead of the 6th corps, after passing Boonsboro’, but he was directed to move carefully, and not to come in contact with the enemy, as a general engagement was not desired. He states that when near Funkstown, General Buford reported to him that his cavalry held a strong position some distance to the front, which, in his opinion, the enemy should not be allowed to occupy, but that he was pretty hardly engaged there; his ammunition was nearly out, and that he was expected to go further to the right; and asked General Howe to send forward a brigade and hold the position. General Howe applied to General Sedgwick for permission to relieve General Buford, but received in reply the answer, “No; we do not want to bring on a general engagement.” General Buford considered the position of such importance that General Howe applied the second time for permission to occupy it, representing that General Buford would soon be compelled to abandon it, as his ammunition was giving out. To this application he received the reply that he might occupy the position if General Buford left it. General Buford did leave it, and General Howe occupied and held the position. General Pleasonton states that on the morning of the 12th of July the cavalry in front of General Slocum’s command drove the enemy from an important position, and could have held it, but General Slocum ordered it to halt, for fear of bringing on a general engagement, and the enemy afterwards brought a strong force there and held the point. Generals Howard, Pleasonton. and Wadsworth were in favor of attacking the enemy at once. General Warren, who was not then in command of a corps, says: “I do not think I ever saw the principal corps commanders so unanimous in favor of not fighting as on that occasion.” The opinion of the council being strongly against attacking the enemy at that time, the 13th of July was passed in reconnoitering the enemy’s position. But General Meade says that the day was rainy and misty, and not much information was obtained. General Meade, however, ordered an attack to be made at daylight of the 14th; but when the army moved forward it was ascertained that the whole rebel army had crossed the night of the 13th, and had escaped. General Meade says: “It is proper I should say that an examination of the enemy’s lines, and of the defences which he had made, brings me clearly to the opinion that an attack under the circumstances in which I had proposed to make it would have resulted disastrously to our arms. My opinion is now that General Lee evacuated that position, not from any want of ammunition, or the fear that he would be dislodged by any active operations on my part, but that he was fearful that a force would be sent by Harper’s Ferry to cut off his communications—which I had intended to do, having brought up a bridge from Washington, and sent the cavalry down there—and that he could not have maintained that position probably a day if his communications had been cut. That was what caused him to retire.” This opinion of General Meade is not sustained by that of any other general who has appeared before the committee. Generals Pleasonton, Warren, Birney, Doubleday, and Howe all concur in the opinion that an attack upon the enemy before he recrossed the Potomac would have been most disastrous to him, and have resulted in the dispersion if not the capture of the greater portion of his army. The rebel army moved up the Shenandoah Valley, while our army crossed in the vicinity of Harper’s Ferry and followed on this side the mountains. On the 23d of July a column of our troops under General French, entering through Manassas Gap, came in contact with the enemy, but not much injury was inflicted upon him. General Warren says that, in his opinion, had General French made the attack with his whole corps, instead of with a brigade only, a decisive blow would have been inflicted on the enemy. Preparations were made for an attack the next morning, but during the night the enemy again escaped. The enemy continued his retreat until he reached Culpeper, and then took up a position between the Rappahannock and Rapidan. Our forces withdrew from Manassas Gap and followed the enemy, reaching Warrenton and the Rappahannock about the 1st of August, when the pursuit ceased. General Meade says that he expressed the opinion to the government that the pursuit should still be continued, inasmuch as he believed our relative forces were more favorable to us than they would be at any subsequent time if the enemy were allowed time to recuperate; but that he was directed by the general-in-chief to take up a threatening attitude on the Rappahannock, but not to advance. Shortly after this a division of troops were detached from General Meade’s command and sent to South Carolina; and other troops were sent to New York to enforce the draft. No active movements of our army took place until about the middle of September, when information was received that Lee’s army had been weakened by the withdrawal of Longstreet’s corps for operations in the southwest. Our cavalry was then sent across the Rappahannock, taking the enemy completely by surprise, but the army did not follow until three days afterwards. General Meade says that upon arriving before the enemy, who had retired behind the Rapidan, he considered his position there so strong, both naturally and artificially, that he deemed it impossible to attack him in front: and that, with the withdrawal of two corps of his troops for operations in Tennessee, led to a suspension of active operations until about the middle of October. At that time General Meade says he regarded himself as about 10,000 men stronger than General Lee, and was contemplating an advance against the enemy. But General Lee made a demonstration upon the right flank of our army, whereupon General Meade determined to fall back, which he did until he finally reached the position of Centreville and Bull Run, destroying the bridge across the Rappahannock and abandoning the railroad communications to the enemy. As soon as our army stopped, General Lee began himself to fall back, destroying the railroad, and retiring to the line of the Rappahannock. There seems to be no doubt that the enemy might have been advantageously met at any one of several points between the Rappahannock and Bull Run; but no fighting of importance occurred, except at Bristow station, where the 2d corps, then under the command of General Warren, met the enemy and repulsed them with heavy loss. General Warren says that he thinks General Meade supposed that the enemy intended to fight him when he made his advance, and therefore General Meade desired to select the best position for that purpose: that General Meade had no idea that Lee would go off without attacking him. General Warren also says that General Meade was very much misinformed as to what was going on; and that some of his officers failed him in spirit. By this retreat and the destruction of our lines of communication with the Rappahannock, the remainder of the fall season was lost for active operations. Our committee could not forbear asking the witnesses before them, if the army, after all these indecisive advances and retrograde movements, still retained confidence in its commanding general. Various answers were returned to this inquiry, all, however, tending to establish the fact that much discouragement had been felt by the army at these ineffective operations, and that but for the highly intelligent character of the rank and file it could never have retained even its then effective condition. General Pleasonton states that the cavalry under his command did not retain confidence in the military ability of General Meade. General Birney states the same about his corps, stating that while General Meade was rather liked as a man, he was not regarded as a man of resolution, or one who is willing to assume that responsibility required by the position he occupies. General Howe states that, in his opinion, the rank and file of the army do not regard General Meade as possessed of that zeal, activity, and energy necessary to carry on an offensive warfare generally, but he admits that the most of the corps commanders would probably say that General Meade was eminently qualified for the command he now holds. That opinion General Howe qualifies, however, by stating that so far as he has observed, the most of the principal officers of the army of the Potomac, including its commanding general, are governed by the same sympathies, feelings, and considerations which were infused into the army by its commander during the Peninsular campaign. General Birney says that many of the principal officers believed that General McClellan was the only general who should command this army; although there is not as much of that feeling now as formerly. General Doubleday bluntly says: “There has always been a great deal of favoritism in the army of the Potomac. No man who is an anti-slavery man or an anti-McClellan man can expect decent treatment in that army as at present constituted.” General Warren states that after the battle of Gettysburg the army was deprived of many of its best corps commanders, General Reynolds having been killed, Generals Sickles and Hancock wounded, and General Meade made commander of the army; that since that time the corps commanders have not been all equal to their position, and consequently the army had been less effective in its operations. Wade’s bias against Meade comes through loudly and clearly in his condemnation of the army commander’s conduct of the pursuit of the Army of Northern Virginia in the days after the Battle of Gettysburg. The question is whether those findings were supported by the actual facts. The next five articles will examine those questions in detail. In the next part of this series, I will examine that question and will discuss how the casualties in the Army of the Potomac’s command structure inhibited its ability to pursue the Army of Northern Virginia. 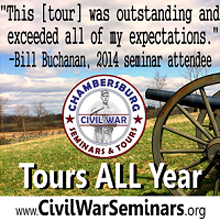 This is the second part of a two-part series that was cross-posted on Emerging Civil War. At the same time, Meade did not make the final decision to stand at Gettysburg until his council of war on the night of July 2. Earlier that day, Sickles disobeyed a direct order and advanced his Third Corps from its intended position on the southern end of Cemetery Ridge to a prominent plateau along the Emmitsburg Road near the Joseph Sherfy peach orchard. Sickles did not like his assigned position and decided to make the move on his own initiative. Maj. Gen. Winfield S. Hancock, the commander of the Second Corps, which was next in line next to Sickles’ Third Corps, watched the movement and said, “Wait a moment–you will soon see them tumbling back.” Unfortunately, Hancock was correct. Meade tried to countermand the movement, but it was too late. Lt. Gen. James Longstreet’s First Corps was about to launch its determined assault up the Emmitsburg Road. 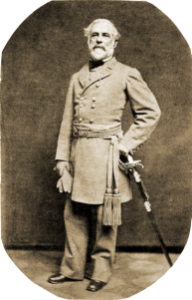 As an initial note, it seems quite obvious that Maj. Gen. John F. Reynolds, commander of the Army of the Potomac’s left wing, did not receive the Pipe Creek Circular before he was killed at approximately 9:15 a.m. on July 1, 1863. Reynolds came to Gettysburg to reinforce Brig. Gen. John Buford’s cavalry division and was killed while placing troops of the Iron Brigade in position. Unfettered by the strictures of the Pipe Creek Circular, Reynolds made the critical decision to commit the army’s left wing to the fight at Gettysburg. Reynolds was killed early in the action, but his First Corps and Maj. Gen. O. O. Howard’s Eleventh Corps committed to the fighting there. The Third Corps and Twelfth Corps arrived that night, meaning that all but the Second, Fifth, and Sixth Corps were on the field that night. The Joint Committee held a series of hearings during the winter of 1864, where Sickles accused Meade of mismanaging the Battle of Gettysburg, planning to retreat from Gettysburg prior to the Union victory there, and failing to pursue and defeat the Army of Northern Virginia north of the Potomac River. Sickles, a former Congressman and the leader of Tammany Hall, was determined to deflect criticism from his own controversial role at Gettysburg, where he intentionally disobeyed Meade’s orders and nearly caused the destruction of the Third Corps in the process. 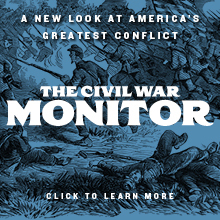 This is the first part of a two-part series that was cross-posted on Emerging Civil War. No battle of the American Civil War has generated more ongoing and enduring controversies than the Battle of Gettysburg. With the anniversary of the battle looming once more, I wanted to address one of the more heated and oldest controversies of the battle, the Pipe Creek Circular and how it impacted the outcome of the battle. This two-part series will address the Pipe Creek Circular and its implications for the Army of the Potomac. From information received, the commanding general is satisfied that the object of the movement of the army in this direction has been accomplished, viz, the relief of Harrisburg, and the prevention of the enemy’s intended invasion of Philadelphia, &c., beyond the Susquehanna. It is no longer his intention to assume the offensive until the enemy’s movements or position should render such an operation certain of success. If the enemy assume the offensive, and attack, it is his intention, after holding them in check sufficiently long, to withdraw the trains and other impedimenta; to Withdraw the army from its present position, and form line of battle with the left resting in the neighborhood of Middleburg, and the right at Manchester, the general direction being that of Pipe Creek. For this purpose, General Reynolds, in command of the left, will withdraw the force at present at Gettysburg, two corps by the road to Taneytown and Westminster, and, after crossing Pipe Creek, deploy toward Middleburg. The corps at Emmitsburg will be withdrawn, via Mechanicsville, to Middleburg, or, if a more direct route can be found leaving Taneytown to their left, to withdraw direct to Middleburg. General Slocum will assume command of the two corps at Hanover and Two Taverns, and withdraw them, via Union Mills, deploying one to the right and one to the left, after crossing Pipe Creek, connecting on the left with General Reynolds, and communicating his right to General Sedgwick at Manchester, who will connect with him and form the right. The time for falling back can only be developed by circumstances. Whenever such circumstances arise as would seem to indicate the necessity for falling back and assuming this general line indicated, notice of such movement will be at once communicated to these headquarters and to all adjoining corps commanders. General headquarters will be, in case of this movement, at Frizellburg; General Slocum as near Union Mills as the line will render best for him; General Reynolds at or near the road from Taneytown to l.
The chief signal officer will examine the line thoroughly, and at once, upon the commencement of this movement, extend telegraphic communication from each of the following points to general headquarters near Frizellburg, viz, Manchester, Union Mills, Middleburg, and the Taneytown road. 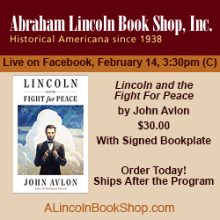 All true Union people should be advised to harass and annoy the enemy in every way, to send in information, and taught how to do it; giving regiments by number of colors, number of guns, generals’ names, &c. All their supplies brought to us will be paid for, and not fall into the enemy’s hands. The corps at Emmitsburg should be withdrawn, via Mechanics-town, to Middleburg, or, if a more direct route can be found leaving Taneytown to the left, to withdraw direct to Middleburg. Please correct the circular accordingly. These two documents make it clear that George Meade had no intention of fighting in Pennsylvania on the eve of battle. That much is beyond dispute. Where the controversy arose is with whether Meade changed his mind on July 2, 1863 or whether he intended to withdraw the Army of the Potomac from its strong defensive position at Gettysburg. The Pipe Creek Line ran just to the north of the town of Westminster, Maryland. Westminster, in particular, had great strategic significance to the Army of the Potomac, as the Western Maryland Railroad had its terminus there. The Western Maryland would serve as the primary line of supply for the army if it was going to operate anywhere in the vicinity (including at Gettysburg), and protecting it was critical. Meade’s engineers did an outstanding job of selecting the Pipe Creek Line, something Meade himself recognized. As envisioned by the Union engineers, the Pipe Creek Line ran along Parr Ridge, a substantial ridge that ran on an east/west axis, and which extended from Manchester, Maryland on the east end to Middleburg, Maryland on the west. With the exception of some lower ground around Middleburg, the entire position was on very high, easily defensible ground that was probably impregnable unless the wily Robert E. Lee could manage to flank the federals out of their strong position. Ultimately, Meade decided to stand and fight at Gettysburg. Again, that much is beyond dispute and is not controversial. 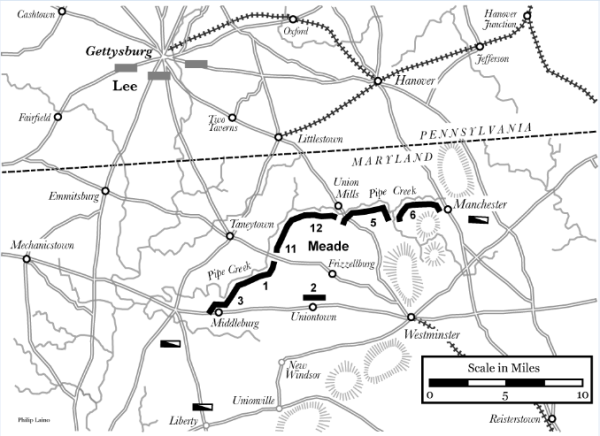 The controversy is whether Meade actually intended to retreat and to withdraw the army to the Pipe Creek Line. We will address that controversy in the next blog post.